A multi-storeyed residential building collapsed in Bhendi Bazar area of south Mumbai on Thursday, with the civic officials fearing that about 30 people many people trapped under the rubble. So far, 10 people have died while 15 injured. “Five patients in critical condition and have kept under observation in the Intensive Case Unit, they suffered multiple injuries and fractures. Rest are currently stable,” said Dr TP Lahane from JJ hospital. Our disaster management cell received a call at 8.40am about the collapse. We immediately rushed fire brigade personnel to the site to rescue the trapped people. 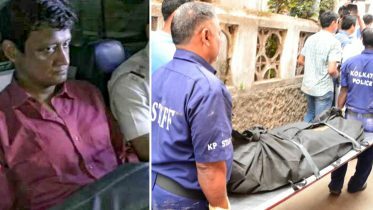 We fear that several people trapped under the debris,” a senior Municipal Corporation of Greater Mumbai (MCGM) official said. Search and rescue operations were underway with the help of local residents. “Forty people believed to stuck inside and a 43-member team conducting rescue operations,” an official for India’s National Disaster Response Force (NDRF) told AFP. Also not known whether the building on the list of dangerous structures under the MCGM limits. The incident occurred two days after the city received torrential rains, which suspected to have damaged the building. A Mumbai Police official said the area near the building has cordoned off. The fire department personnel and medical staff have reached the spot, he added. 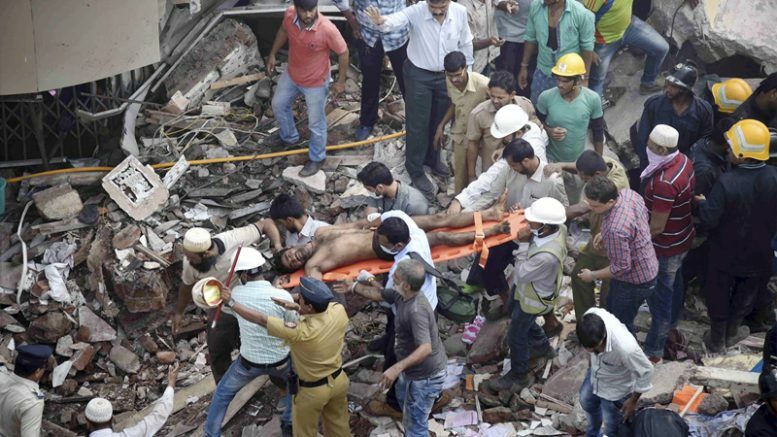 Be the first to comment on "Bhendi Bazar area :10 dead, 15 injured in Mumbai building collapse, 30 feared trapped"